Glenn Flegg Estate Agents Slough | Hornets have been busy bringing it home this season! 19 Jul Hornets have been busy bringing it home this season! 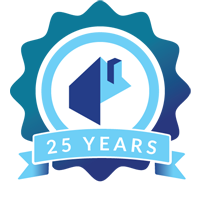 As the leading estate agent in Langley and the surrounding areas we like to be involved in things that make our community better. 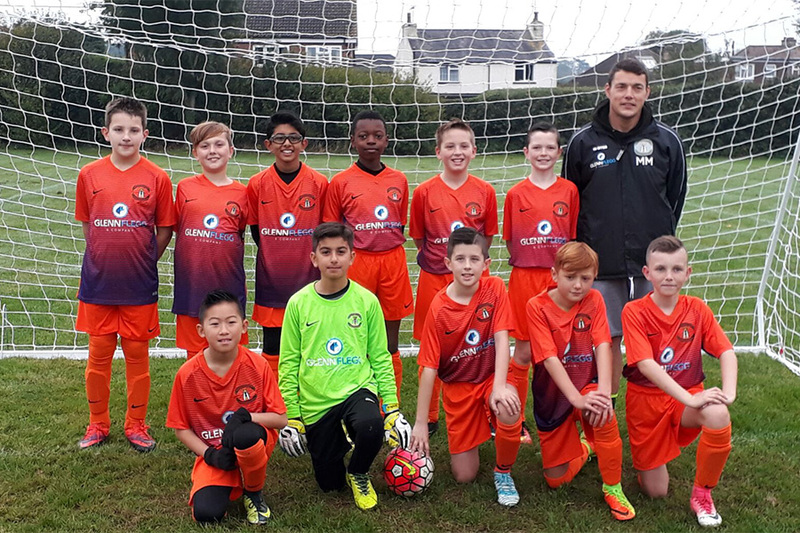 You may have read our blog from October last year in which we announced our sponsorship of Langley Hornets u11’s. We also spoke about the amazing work that the team at Langley Hornets FC do in bringing grassroots football to the kids in the community. Welcoming children of all abilities the club is much more focused on providing the opportunity to play, than winning trophies. 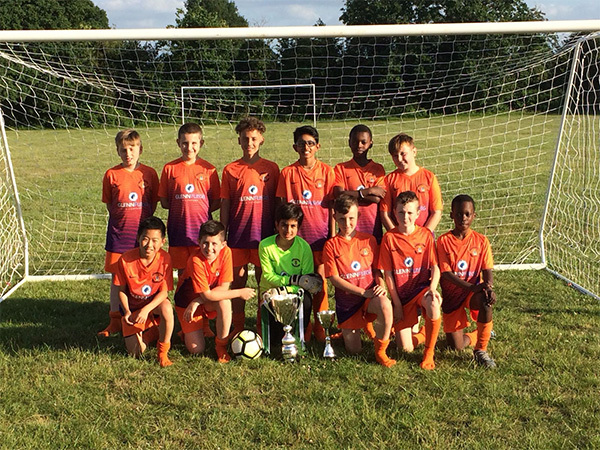 However, in just their second season as a club and after finishing bottom of division 3 of the Thames Valley Development League in their first season; the boys have had enormous success. The club is run by volunteers made up of family members of the players and so has a lovely family-feel to it, which makes it the perfect club for our family business to support. It gives us great pride to see the boys competing wearing our logo and we’ve really enjoyed seeing the players grow and gain the success they have worked so hard to achieve. 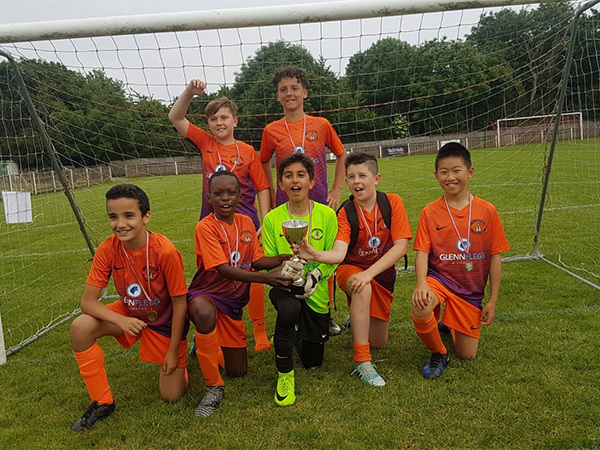 The Hornets play their home games at the Evreham Centre in Iver Heath, playing their games on the grass pitches and training on the 3G artificial pitches, which are great for honing their skills. This surface gives players the confidence to try their newly learned skills and really helps to get them expressing themselves on the pitch – a wonderful facility. 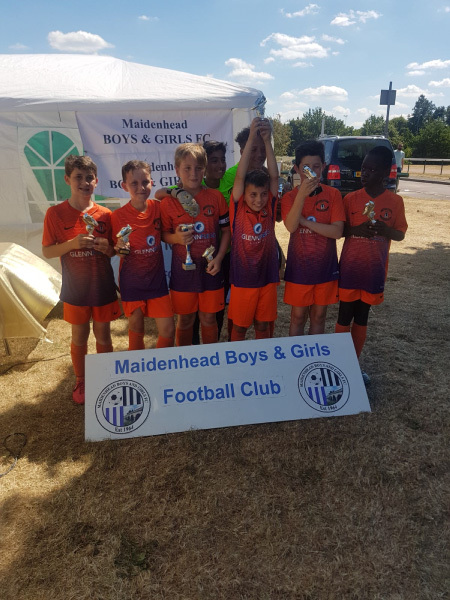 As well as sweeping all aside during their league winning season the Hornets also won the Harefield United and Maidenhead United tournaments. Player of the season went to the ever-impressive Denny Goodall, while the golden boot was awarded to two players who scored 25 goals each this season – Liam McGuinness and Jake Jackson. Congratulations to all the prize winners – can you hit 30 goals next year? Below are a few images of the victorious squad. We’d like to congratulate the boys and all the staff on their phenomenal season and their big wins. Remember if you are looking at buying or selling property in the area, make sure you get in touch with us – as one of the leading estate agent in Slough and the surrounding areas we have great reach to a thriving market and can offer maximum exposure to potential buyers or tenants. You can also follow us on Facebook, Twitter and LinkedIn.